Smartphone bezels are getting smaller all the time, with phones such as the iPhone X now offering an almost all-screen design, other than a notch, but Lenovo could be about to ditch the notch as well and deliver a truly bezel-free phone. Chang Cheng, Lenovo’s Vice President, has teased such a phone on Weibo (a Chinese microblogging site), posting a sketch of a phone with zero bezels. 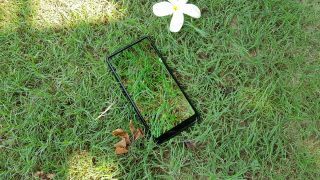 He calls it the Lenovo Z5, and this image follows an earlier teaser from him showing a partial render of the phone, accompanied by the claim that it has a 95% screen-to-body-ratio. For comparison, the iPhone X has a screen-to-body ratio of 82.9% and the Samsung Galaxy S9 has one of 83.6%. Apparently the Lenovo Z5 will also include four technological breakthroughs and 18 patented technologies, some of which are presumably focused on its all-screen design, which will need to overcome various obstacles, perhaps most notably finding a way to house the front-facing camera. There’s no information on how that’s been achieved, but assuming there is a front-facing camera it’s likely either a pop-up camera, as has recently been seen on the Vivo Apex Concept, or it’s somehow embedded into the display. We don’t know anything else about the Lenovo Z5, so it may well be a long way off, if it launches at all, as it could just be a concept, but hopefully we’ll get to see it in the flesh before too long.